Mint Mix | Henry Field's Seed & Nursery Co. Refreshing blend for flavoring candies, tea, ice cream and punch! You get 1 each of fruity apple mint, icy spearmint and cool peppermint. All grow 1-2 ft. tall. Zones 5-9. Potted plants. Height 12 - 24 inches. Light Requirements Full sun to partial shade. This item ships in Spring. For each offer ordered, get 3 per offer. 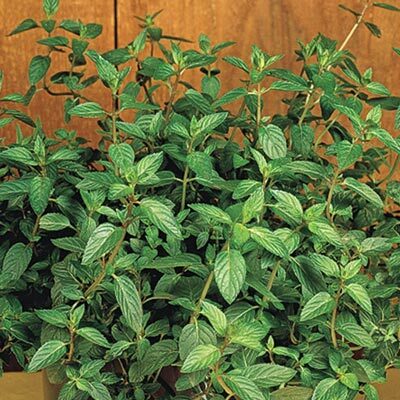 Botanical Name: Mentha suaveciens, Mentha spicata, Mentha x peperita. Height: 12 - 24 inches. Spacing: 12 - 18 inches between plants. Depth: Plant at the same depth it is in the pot. Spread: 12 - 18 inches or more. Can be invasive. Sun/Shade: Full sun to partial shade. 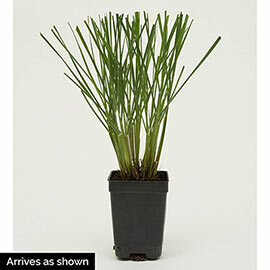 Foliage: Green foliage with the scents of mint, (apple, spearmint and peppermint). Soil Requirements: Well-drained, moist, organic soil. Growth Rate: Medium to fast growth rate. May become invasive.